Currently, 25.4 million refugees have been forced to flee their homes because of war, persecution, and civil unrest. Over half of these are children. 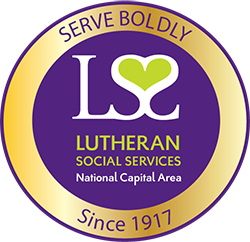 At a time when the world is facing the largest global refugee crisis since World War II, LSS/NCA is working closely with lawmakers and local partners to sustain policies that support refugees. When others retreat and retrench, we advance and welcome boldly. In partnership with faith communities, foundations, local, state and federal partners and hosts of volunteers, LSS/NCA is proud to welcome thousands of refugees from around the world to the United States every year. From the moment a refugee arrives at the airport, our staff is at the gate to welcome, provide guidance, encouragement, and other support services. While each family’s story is different, their collective dreams are the same: to rebuild their lives in America and regain a sense of security after years of uncertainty and turmoil. We support our clients during this important transition by mobilizing community partners and offering a comprehensive range of services to newcomers including refugee assistance, employment training and immigration services throughout Washington, D.C., Maryland and Virginia. Our goal is to help refugees gain self-sufficiency through resettlement and employment services.